The Indianapolis Colts signed former Titans QB Kerry Collins Wednesday afternoon. The signing gives the Colts a capable back-up and possibly a starter if Peyton Manning doesn't play week 1. 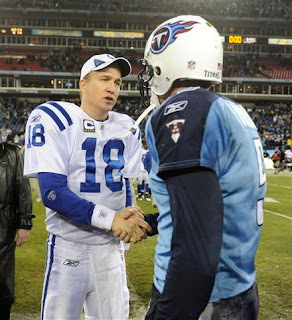 Collins retired earlier this offseason after Tennessee Titans drafted Jake Locker and signed Matt Hasslebeck. Collins 17 year career makes him a good mentor for Peyton Manning's heir apparent, Curtis Painter.